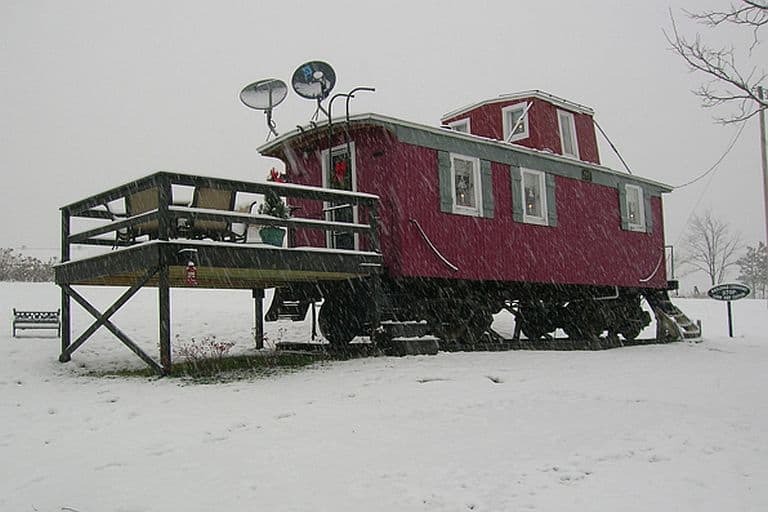 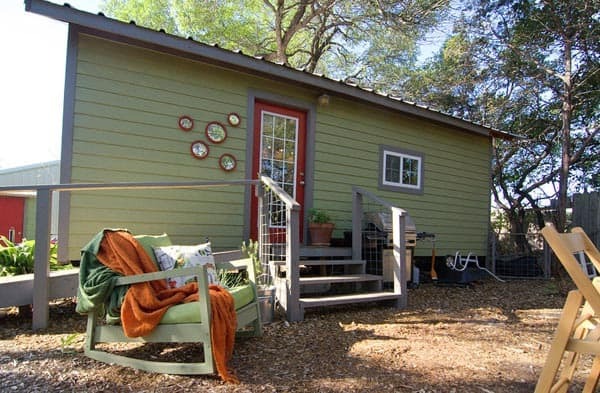 Railway carriage conversions make some of the most charming tiny homes around. 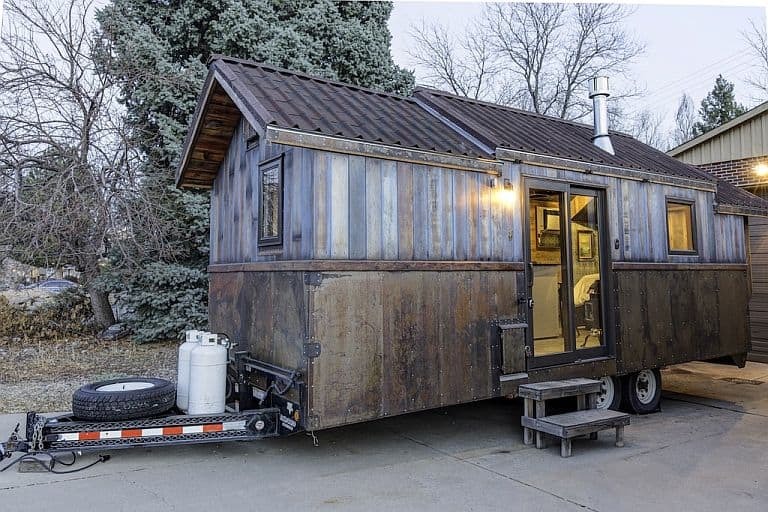 Finding an old train car and turning it into a good-looking, livable home takes a little luck and a lot of skill, though, and there have also been a number of brand-new builds that aim to replicate the railroad atmosphere. 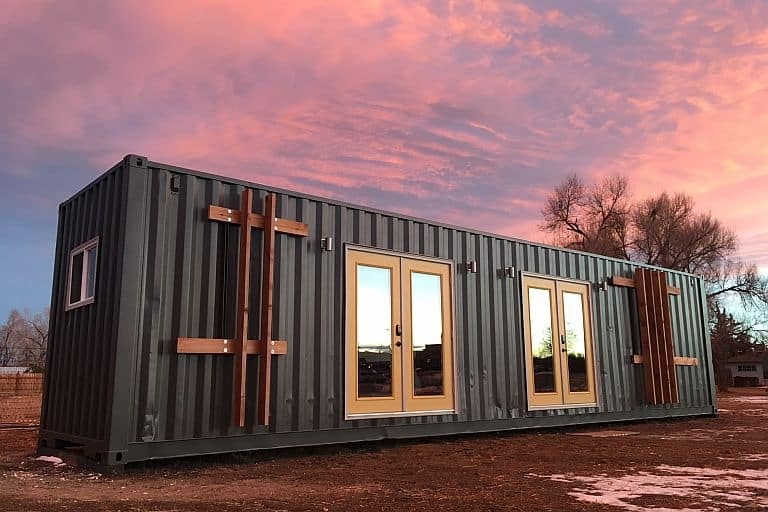 North Park Manufacturing’s custom-made park model, a beautifully authentic build created in collaboration with a retired railroad engineer, was one of our favorites. 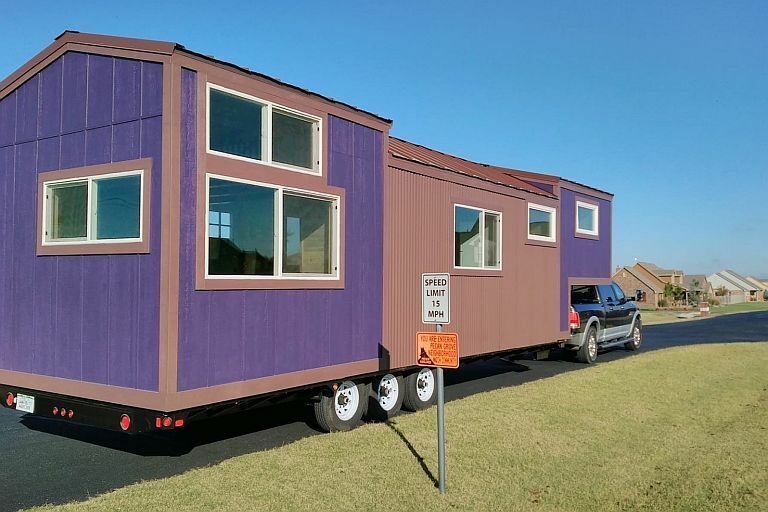 The 26-foot ‘caboose’ you see here isn’t quite as elaborate a reproduction, but it does have the classic silhouette – and a very serviceable living space inside. 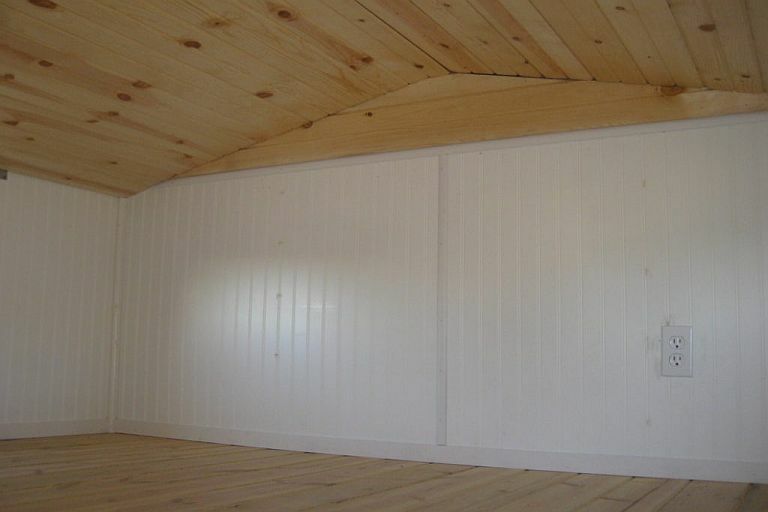 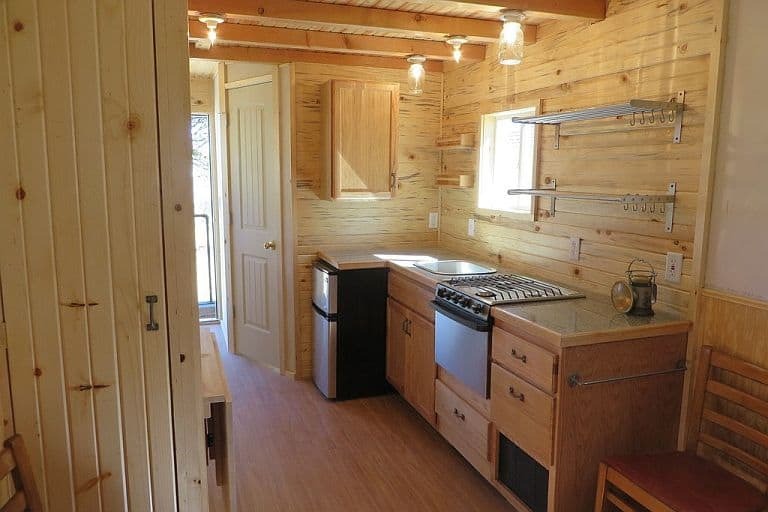 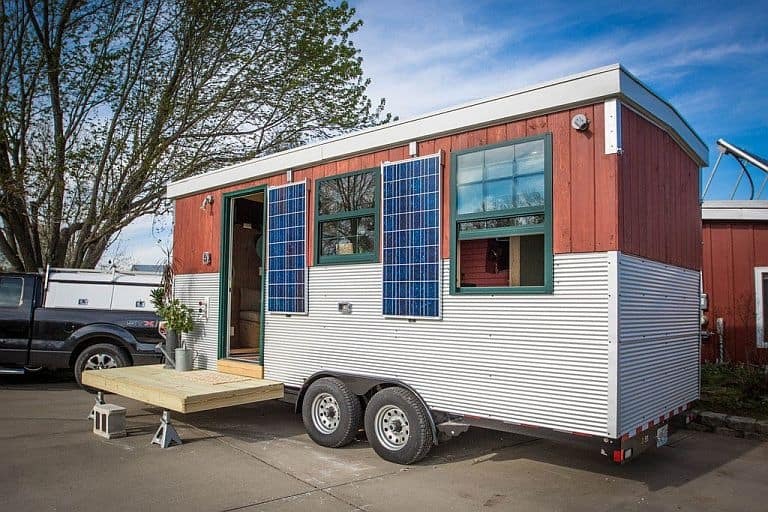 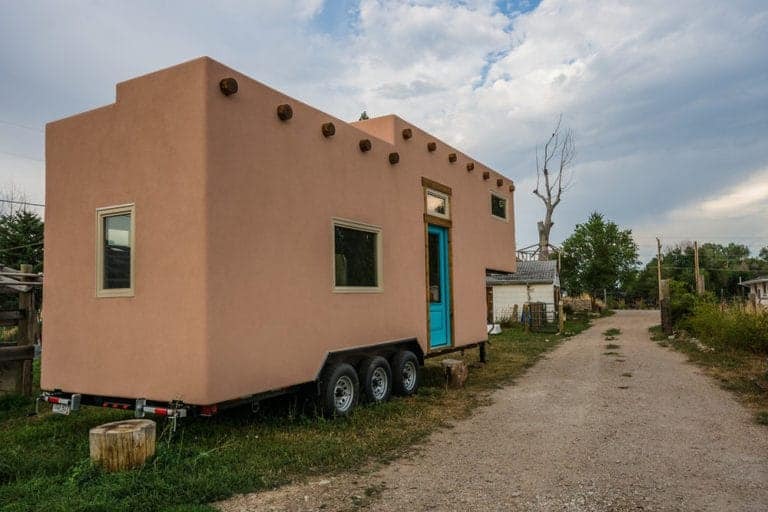 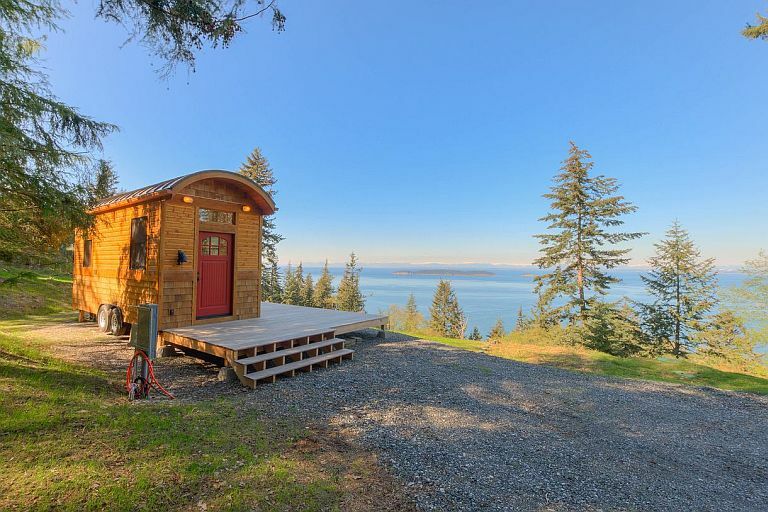 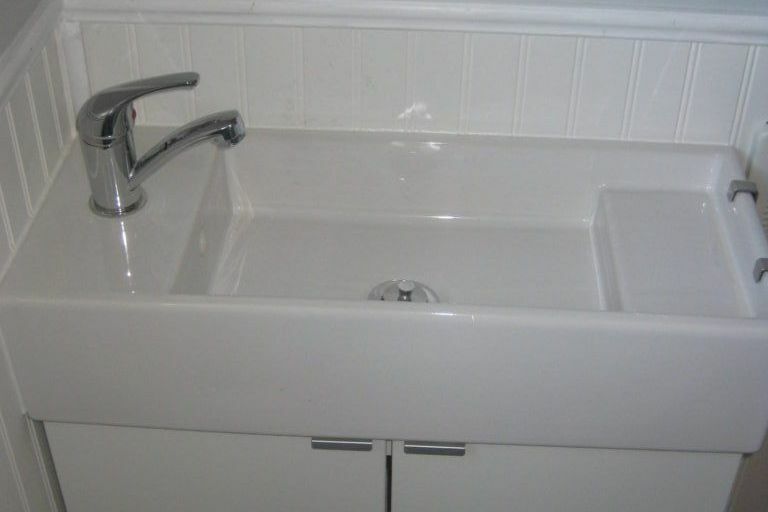 For such a nicely done THOW, it’s also way to the low end of the modern tiny house price scale: just $34,500. 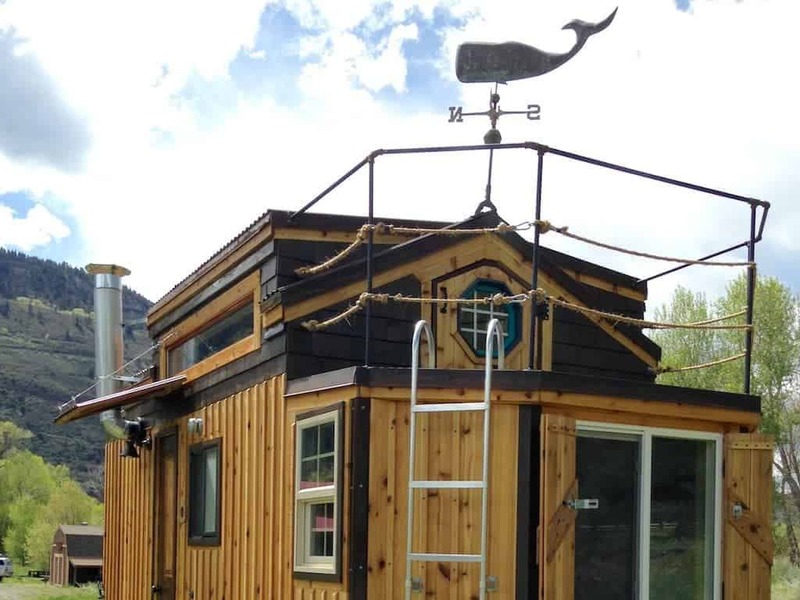 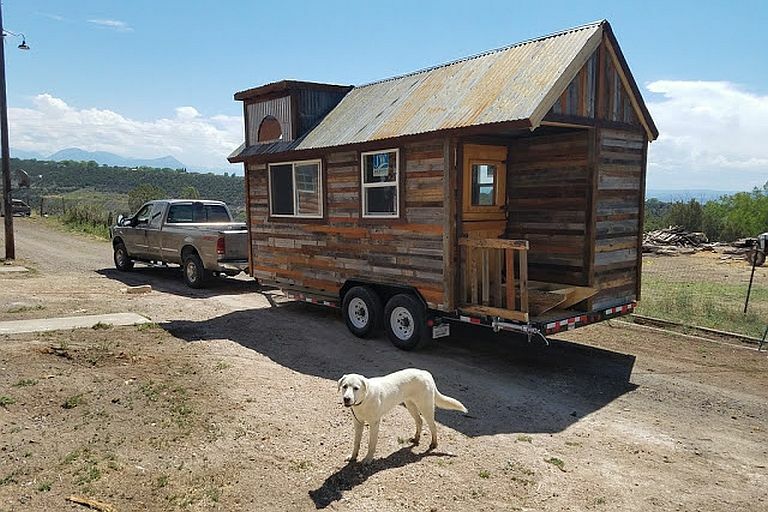 It’s located in Livermore, Colorado, and you can find more details over at Tiny House Listings. 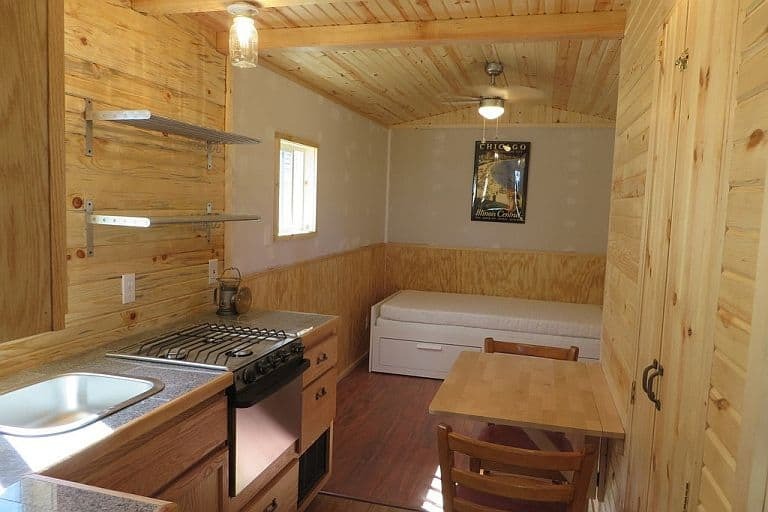 The kitchen isn’t what you’d call fancy, but it’s complete, with a small fridge and a small oven, and surprisingly roomy. 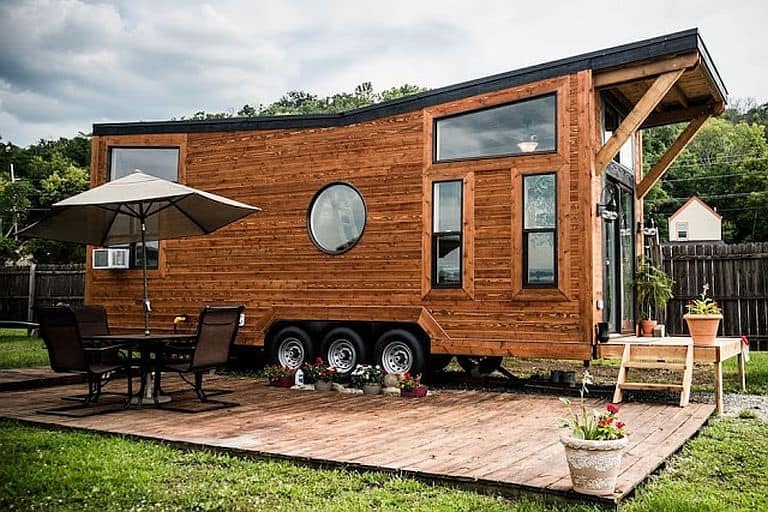 The dining table folds down when not in use, while the sofa at the end folds out into a king size bed at night. 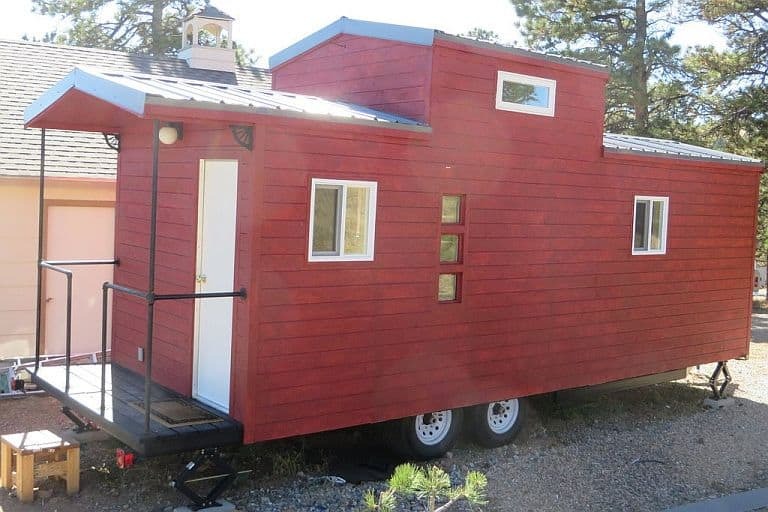 This is how you get to the loft. 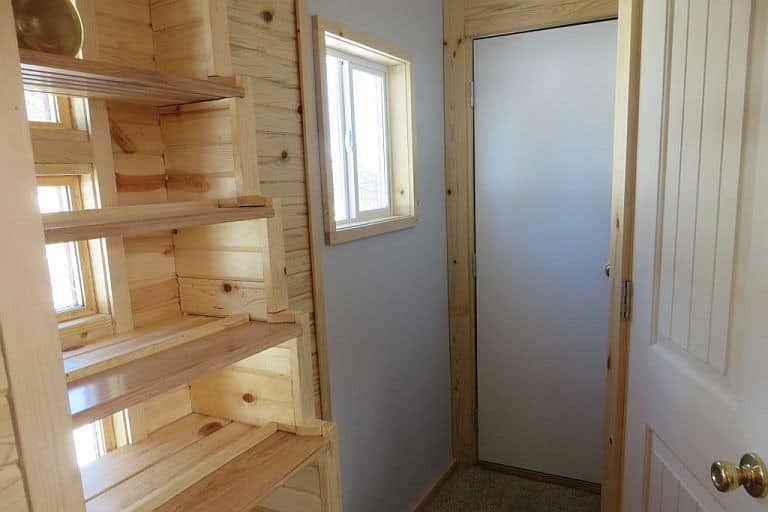 The seller calls it stairs, but ‘storage ladder’ might be a little more to the point. 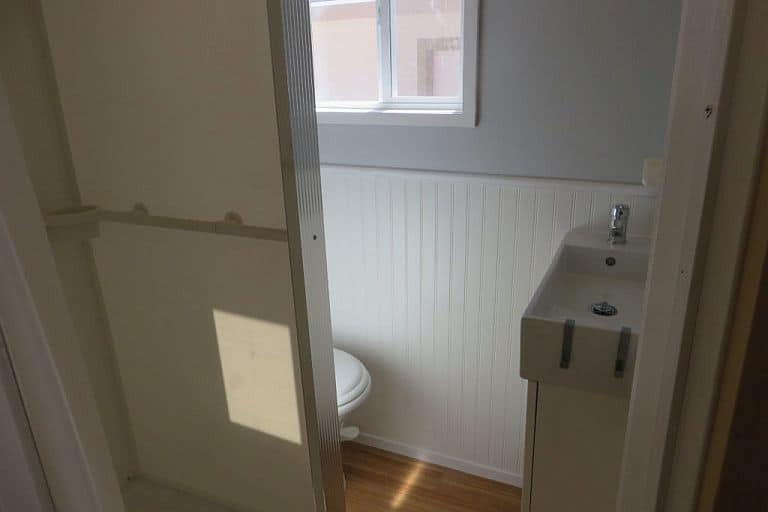 There isn’t much up there right now, but it would fit a queen bed. 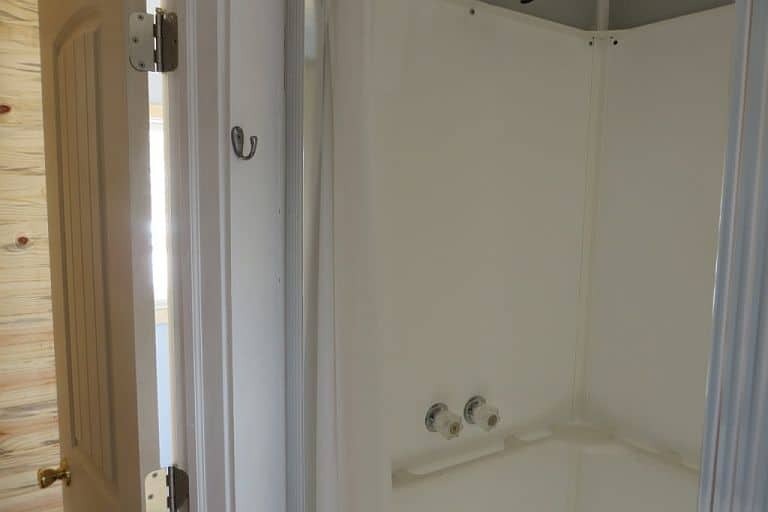 …and a 32-inch Durastall shower. 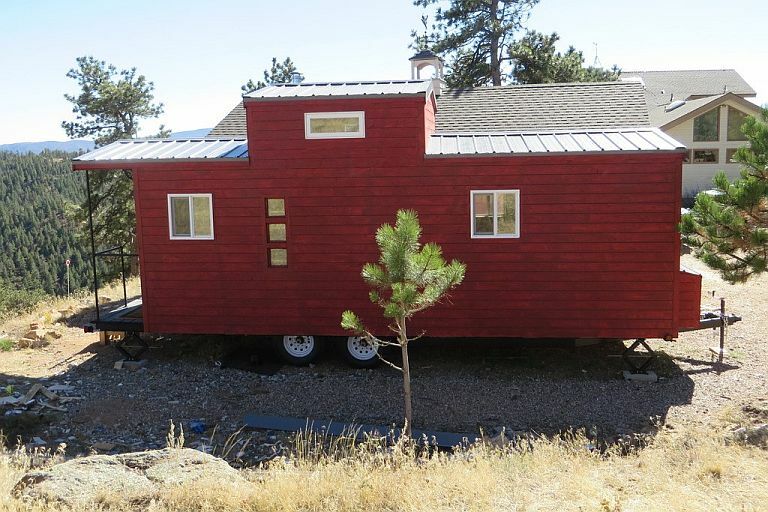 Call (970) 493-4844 for inquiries.